CitizenRC Gmade BOM 14-Day Build Series I did that just finished up this week. 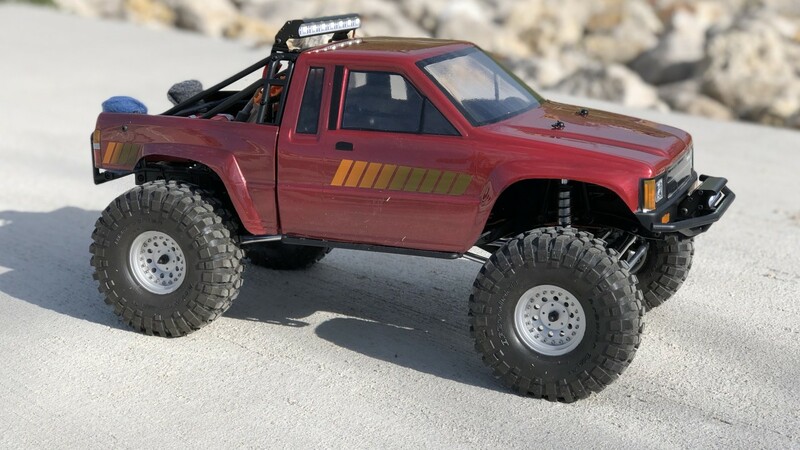 The build highlighted some of the great Pro-Line BFGoodrich Krawler tires in addition to the Pro-Line Hilux body that I used as well. For this build, I cut the bed portion of the body apart to separate the bedsides and mounted them “dovetailed” onto the BOM’s cage itself which is pretty unique and something I have not seen done before previously. I tried to keep the body simple yet detailed to make it look as realistic as possible.